I promise I wasn’t even hungry when I found all of these great recipes in this week’s Weekend Wrap-Up Party! something light and sweet, or spicy. Check out 15 of my favorites, and check out the party for even more! Weekend Wrap Up Party — and $50 Giveaway from Mindy Mae’s Market!! I would like some chocolate recipes emailed to me …. I’ve been out of internet range and came back to this sweet surprise. Thanks for featuring my Low-fat Cinnamon-Swirl Banana Muffins, Jen. Have a great week! 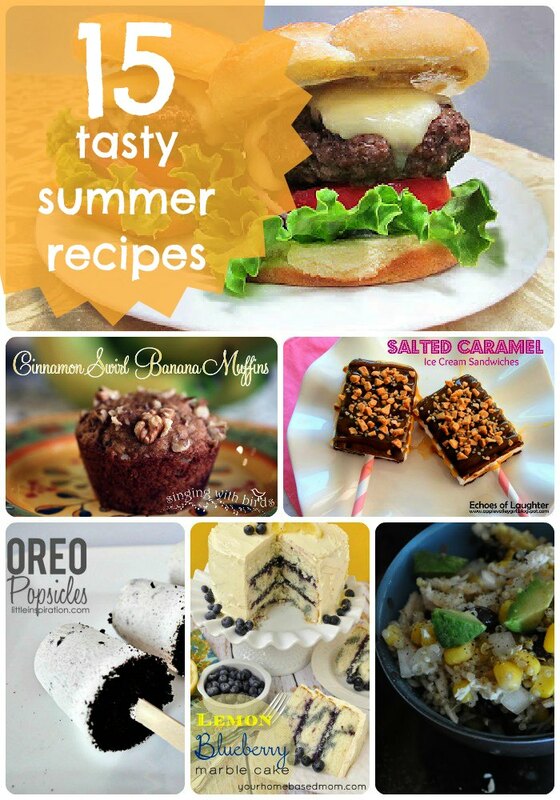 Darn…why do I have to be trying to lose weight with all these delicious recipes you shared! Oh man I am Starving now..and will take Any of those with my coffee right now! 🙂 Great Features!!! Wow – so many amazing things to try! Thanks for featuring my Lemon Blueberry Marble Cake. Can’t wait to try some of the things!! Thanks so much for featuring our Blueberry Lemonade Cupcakes.